All Auto Detailing has been operating in Maryborough, Queensland since May, 2007. The business is owned and operated by Gary Austin, and he guarantees professional results. 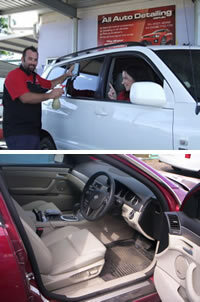 Gary uses only quality tested products and will have your vehicle shining  inside and out! All Auto Detailing is open for your convenience on weekdays between 7am and 5pm. Gary also offers a pick up/delivery service within Maryborough. Cars, bikes, campers, commercial vehicles, trucks! NO JOB IS TOO BIG OR TOO SMALL!